TORONTO, January 17, 2019 – The Ontario horse racing community is mourning the loss of Canadian Horse Racing Hall of Fame, Thoroughbred builder, William (Bill) Graham, who passed away on January 15. 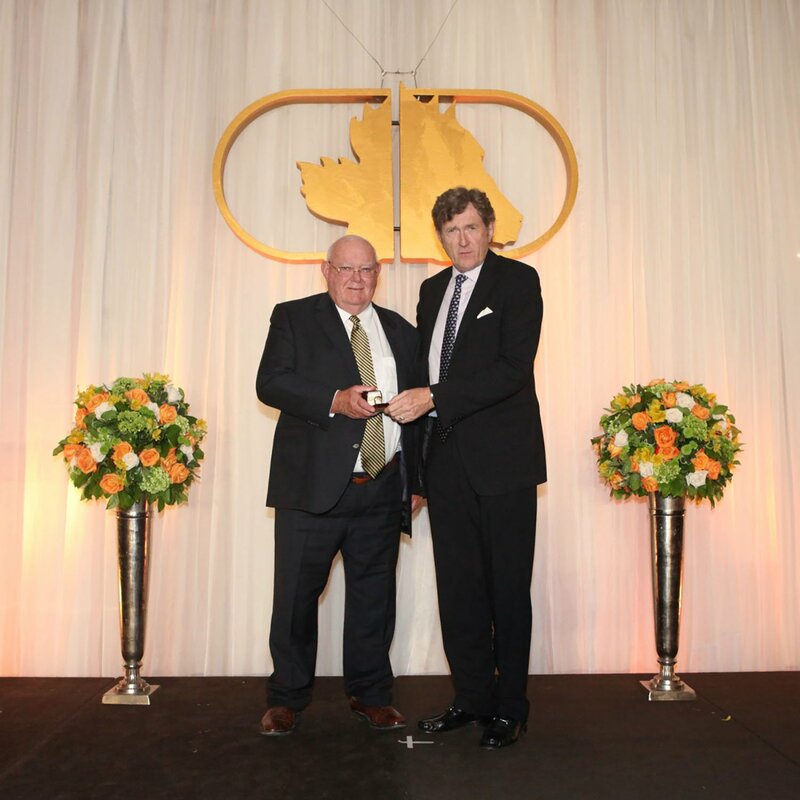 Mr. Graham was a successful construction entrepreneur who achieved great success within Thoroughbred racing including a Sovereign Award as Canada’s outstanding breeder in 2012. Monday, January 21, 2019 at 11 a.m. This entry was posted in Woodbine News and tagged Horse Racing, Jim Lawson, William Graham, Woodbine. Bookmark the permalink.